This tank! Besides the photo op of capturing the people and the big tank and the sharks, there are these tiny little sardines. They are clustered altogether forming like a carpet on the bottom of the water. It is sooo unbelievable. They’d move in sync, making way when the shark comes. I love this turtle. I will have a separate entry solely for this turtle. Bucket List checked. I finally get to see penguins! 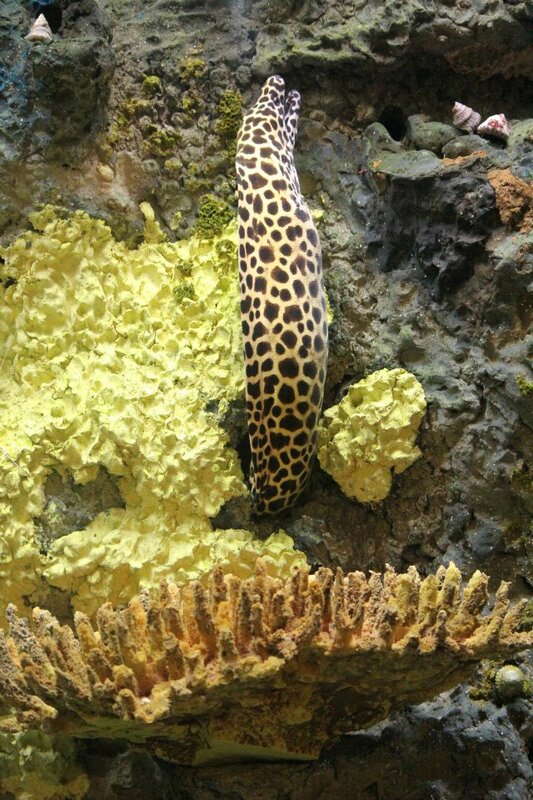 The morays are fascinating. Their head comes out from one head and then their tail to another hole. The tank they are in looks like a puzzle maze where you figure out which tail belongs to which head. Counting how many in the tank is quite challenging. 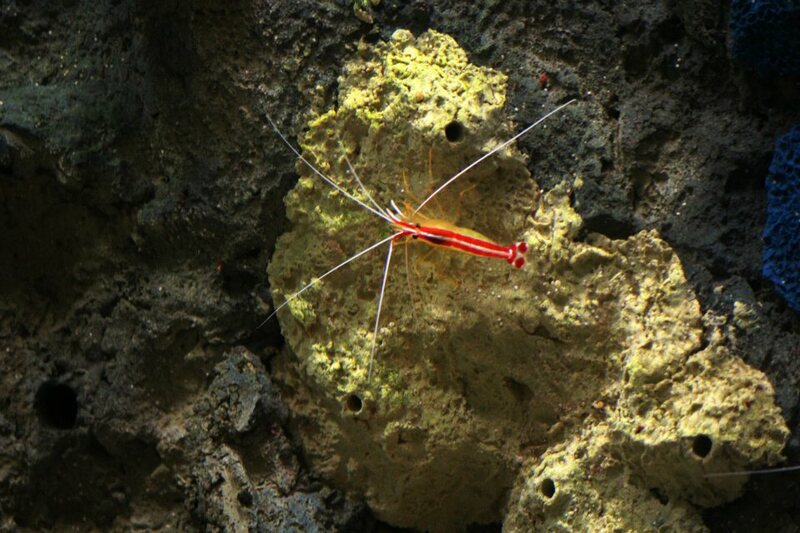 With the cleaner shrimps hanging-out with the morays, it is even more fun to look at that tank. Some of you may be familiar with my quite popular post on Unusual where the seadragons are the star attractions for their cool existence and definite wondrous appearance. 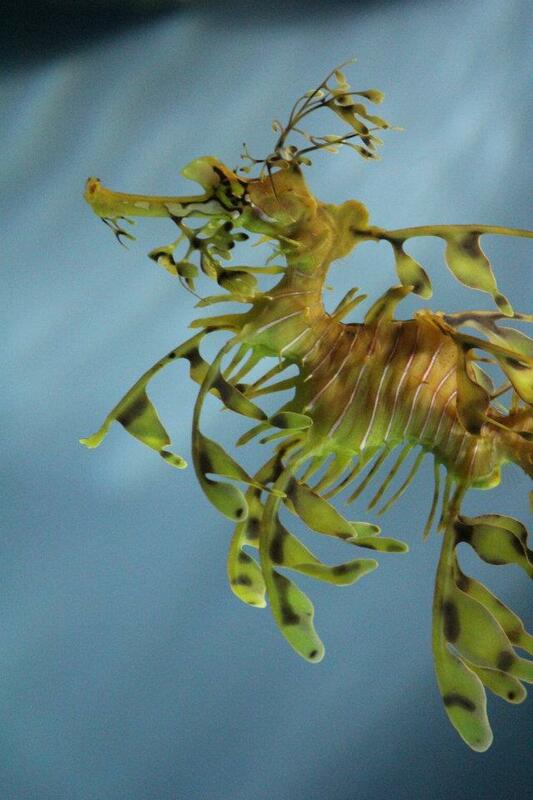 Well, here’s a leafy seadragon. This one is called anemone. Plants or animals? Find out here. 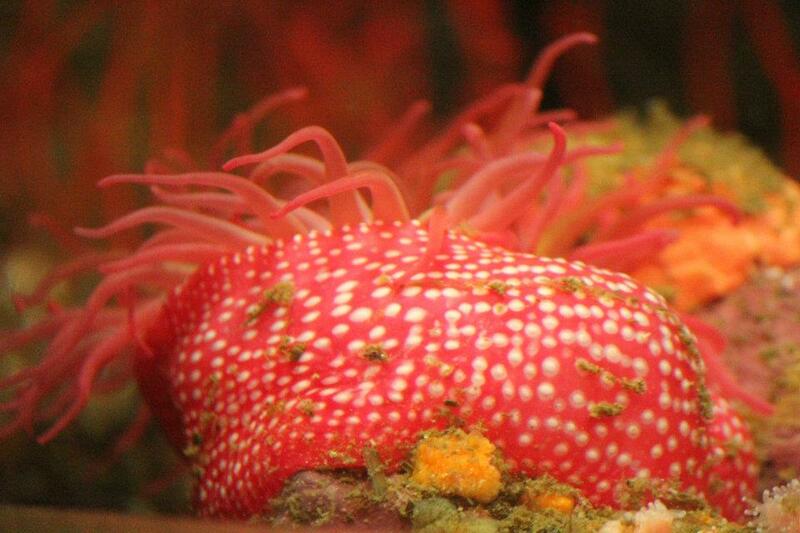 You get to see it out of the tank if you visit the Rocky Intertidal Zone in Cabrillo, San Diego. I’m going to go with the majority. The best attraction is got to be The Jelly Experience. You get that uplifting sense on the way they float fluidly and just how beautiful they look. They truly are such magnificent creatures. I hope you are not missing my Jelly Experience series. Also check out the otters, seahorses, kelps, whales, holding starfish, etc. Not convinced? Here is a science and photography, and Monterey Bay enthusiast. 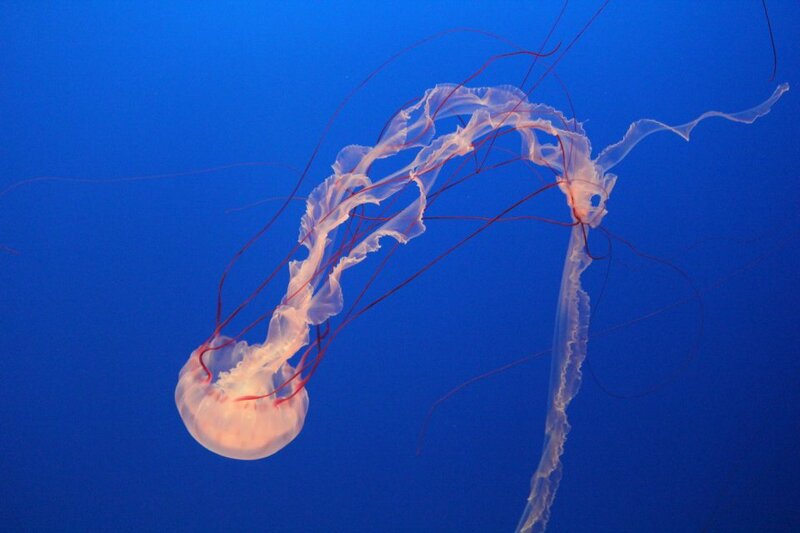 She has gone to Monterey Bay Aquarium and was able to capture some of the amazing shots of the marine animals. Moreso, she explored the whole Monterey Bay, shared some news and facts about it and the aquarium, and covered further of its beaches, and sea otters. You gotta check out Chanel = Photography + Science and explore the ocean world of wonders. 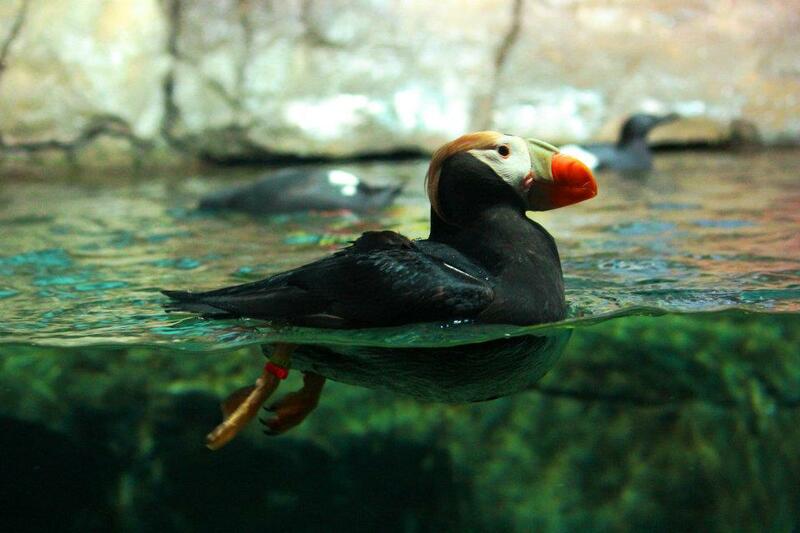 Nice waterline shot of the puffin. I know. It’s usually not my favorite. But after that shot, I kinda like it, a lot. Yes, I agree. This shot was great. Thanks, Debra. Let me be in one of your luggages! Thanks for the blog shout out! Happy World Oceans Day to you 🙂 !!! You’ve got some great photos of your own- makes me miss MB even more. Great Photos – thanks for sharing! Love the Monterey Bay Aquarium:) Have a Great Weekend! Wow! definitely a must-visit! I love it bro… kainggit!!! Omigod! I post this and let it go for a bit, I came back and have so many likes in short bit. Thank you all! Thank you all!! Incredible underwater world. I loved all the shots. very soothing to eyes. Aren’t the puffins dangerous to eat? They eat their hearts – supposed to be a delicacy! Oh my! Can’t seem to choose one favourite, they are all so lovely! I must say WOW! Beautiful photos. Thanks for sharing it with us . 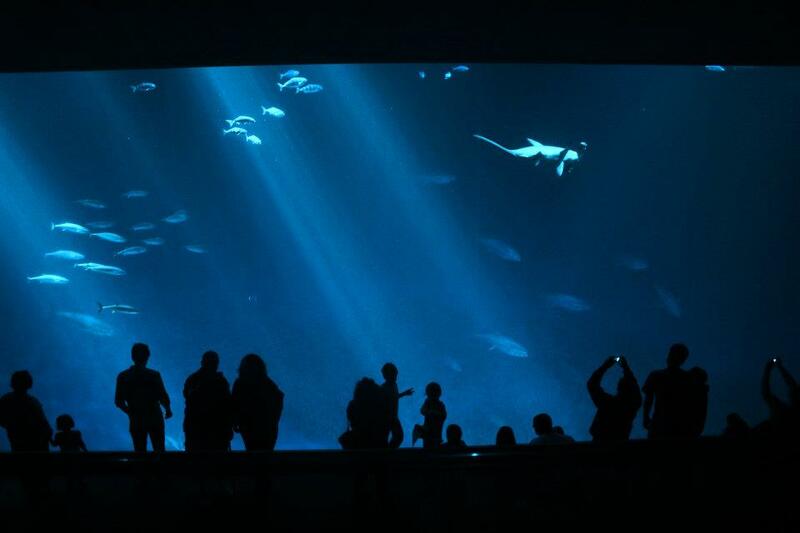 Have you visited the Aquarium at Barcelona? Your photos reminded me of the Underwater Aquarium at Barcelona. I am an avid reader, an author and a traveller myself. I was wondering, if you are into reading ebooks about celebrating life in all its vibrant colours, then may be you could check out my blog at your own leisure–my latest ebook: 12 Precious Anecdotes from Life of such a genre has been released at Amazon, and I posted the synopsis at my blog. I wish you a great week ahead. Adding one more thing to the bucket list, Monterey Bay Aquarium, to be enjoyed when we return to So. Cal later this year. Chanel gave me a heads up that if you travel 30 minutes somewhere further, you get to catch sea otters hanging out in the ocean on buoys. Sea otters are so adorable, so as for me, I won’t let it pass not seeing them again. Chanel’s the featured blog of the post. So if you have any question about those sea otters, go ahead and check her entry on Monterey Bay Aquarium. Oh, don’t forget to stop by Fisherman’s Wharf! When we spent a couple of years in Yellowstone, we loved to hike to one of the lakes and watch the sea otters. They are one of our favorites! They have them at the aquarium, but I don’t have a good capture of it. They are just laying down on a floater. They even have their own playground! They are so adorable. Thanks so much. I will keep that in mind. Forgot to add, these are some terrific photos! Great pictures and post. I lived in Santa Cruz for ten years and only went to the Monterrey Aquarium a couple times…now it’s on my list for Must-Do things next time I’m back. I think it’s a must for every California given its wide popularity and just basically the opus of aquariums. I must say though, it’s quite pricey. Hehe. My #1 aquarium of the 100+ that I have visited. I know! It IS the aquarium meter that I actually hesitate coming there because it makes me not want to other aquariums. Keep going to other aquariums because you’ll find interesting things that are not at other aquariums. 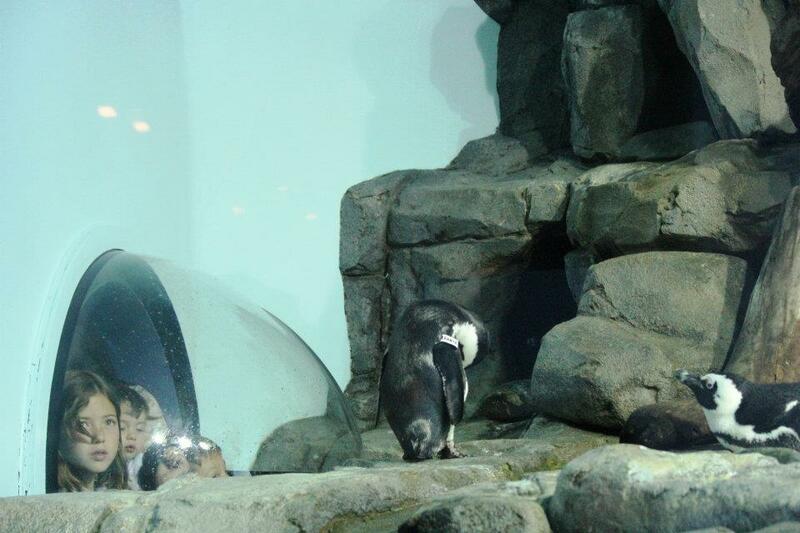 For example best penguin exhibit is at the New England Aquarium. Best seahorses at Birch Aquarium right here in San Diego. Best whales at Vancouver. Amazing , beautiful life forms. I felt like I was under the sea with those very vivid and larger than life images. Thanks for sharing this amazing Ocean World. I love the turtle picture the most although the jellyfish was amazing. Cool pictures! I already made 3 series of posts exclusively for the jellies. They are just so amazing to look at. Absolutely beautiful photo’, reminds me of the time I went to Sea World. What a fantastic post! That aquarium is one of my favorite places to go. Your photos are incredible! I did a little (sort of poor quality) video of the jellyfish there a few years ago. Here is a link to it, if this doesn’t go to spam. Thanks for your wonderful images and great post! I love Monterey Aquarium. 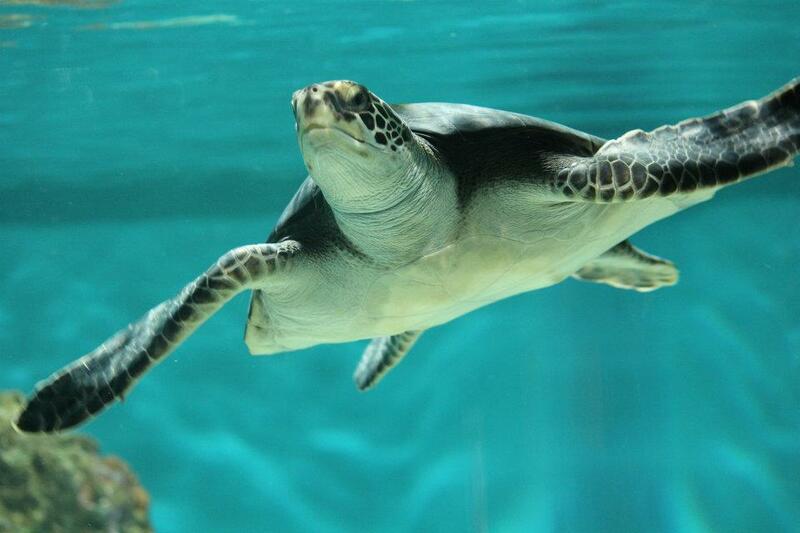 I have been there two times and loved the jelly fish and turtles. You might like my latest post on Amristar. It is a pretty historic and interesting place. Very nice. I’ve just started volunteering at the Georgia Aquarium. Monterey Bay’s is one of the aquariums founder Bernie Marcus (Home Depot) checked out to see how its done. Hey Rommel, thanks for checking out The Selfcleaning World … I like your site, you’re an adventurous soul. I was at the Monterey Aquarium earlier this year, a very cool place. 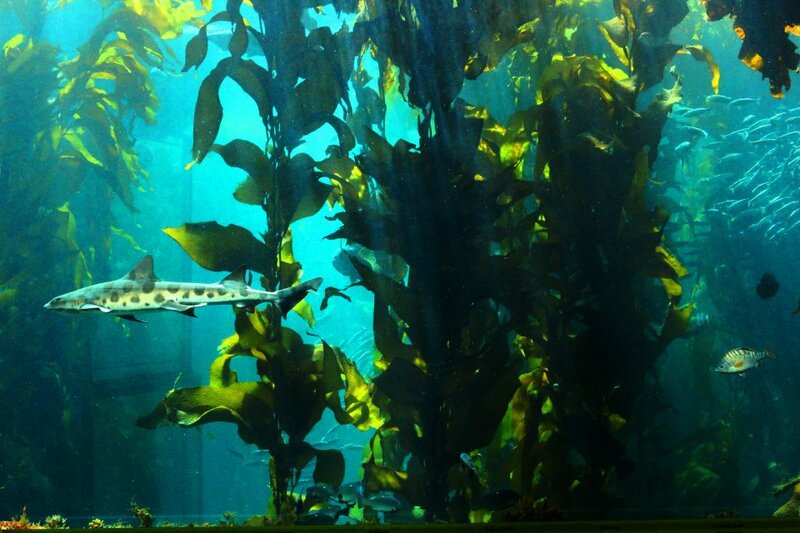 I love these pictures – this post made me want to visit the Montery Bay Aquarium when I was on my way to San Francisco, and I planned to do so, but then I stopped at too many places along the way and didn’t get there in time. But the pictures are probably as good as an actual visit! What a miss! But I can totally understand, San Francisco has so much to offer. Beautiful photos. It’s been a long while since I visited the Monterey Bay Aquarium. First time seeing penguins? Awesome! Always, always, whenever I go to an aquarium, there are these students, young or teens, that are jotting down notes and seem to be searching, observing and answering some questions or sorts of riddle. Did you ever have to do that? I guess that’s encouraging them to enjoy the aquarium and learn at the same time. Great photos! I love aquariums and am lucky enough to have this one just over an hour from home, but after reading your post, I realized that I haven’t been in almost 5 years! Time to schedule a day trip! 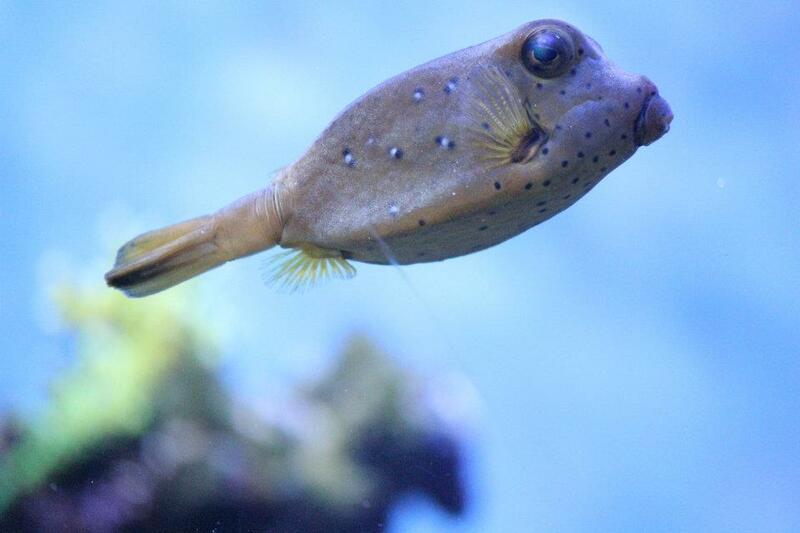 By the way, Cape Town in South Africa has a pretty fantastic aquarium, too. it looks like it may have been modeled after the Monterey Bay Aquarium. 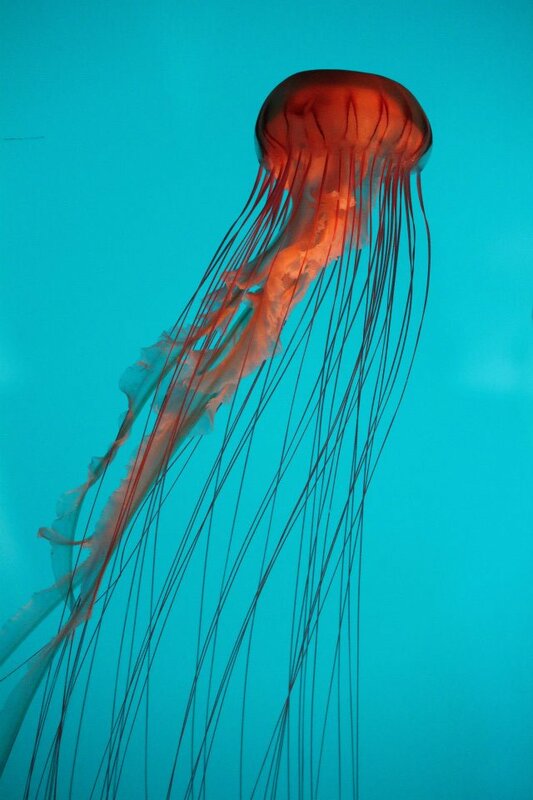 Make sure The Jellyfish Experience are on exhibit, just because I love it. hehe. No, I was talking to the bartender at the Old Fisherman’s Wharf, and he said the major attraction before used to be the seahorses. The new Jelly portion is now the biggest. Great post! I was just at the biggest aquarium shop in Norway last week. The underwater world is so fascinating! We lived in Monterey for a year and the Aquarium was a big favorite. Thanks for the reminder. I am planning a trip with my grandkids. We’ll walk the beach in Carmel and eat crab in Pacific Grove. Great photos of the amazing creatures inhabiting the mysterious deep blue seas. Thanks for sharing. Have fun! I’m pretty sure you’ll do. I have yet to explore Carmel. Next time I go up North, and that’s a promise to myself. What an absolutely beautiful post…I was smiling from beginning to end. Thank you! Thank you for the keen interest to my blog. Thank you, thank you. Oh how fun to see shots of a place that is in my neighborhood! My husband and I went there last December for my birthday. Locals get in for free once a year and it just happened to be then. Wonderful shots! I actually took a few of the exact same ones! Most of yours turned out better though! Oh the humility! Saw your blog and saw some interesting captures there. Thanks anyways. I’m always glad to see the locals come to the blogposts of places I’ve been to. My favorite aquarium. Got over there as often as possible when living in the area. Thanks for reminding me of how beautiful it all is there. Awesome! Another local! Thank you for the visit. I have a feeling I’m gonna love your blog.